Intro: The NASA All-sky Fireball Network is a network of cameras set up by the NASA Meteoroid Environment Office (MEO) with the goal of observing meteors brighter than the planet Venus, which are called fireballs. The collected data will be used by the MEO in constructing models of the meteoroid environment, which are important to spacecraft designers. Network: The network currently consists of 17 cameras, 6 of which are placed in locations in north Alabama, north Georgia, southern Tennessee, and southern North Carolina. 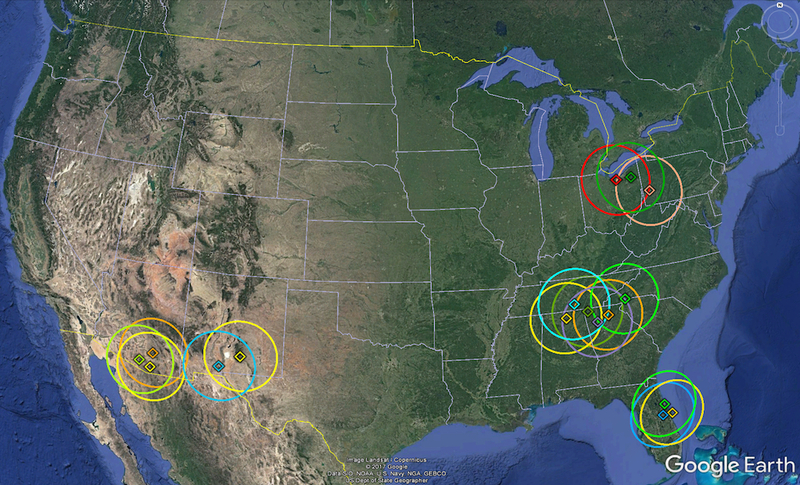 3 are in the northern Ohio/Pennsylvania area, 5 are located in southern New Mexico and Arizona, and 3 are in Florida. The network is still growing, despite having achieved its initial goal of 15 cameras in schools, science centers, planetaria, and observatories in the United States, predominantly east of the Mississippi River, where there are few such systems. Cameras: Cameras in the network are specialized black and white video cameras with lenses that allow for a view of the whole night sky overhead. Data: The cameras have overlapping fields of view, which means that the same fireball can be detected by more than one camera. 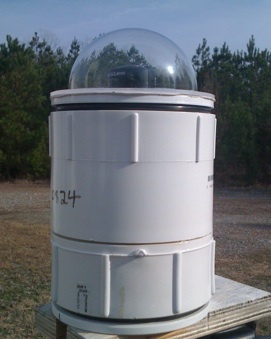 This allows us to calculate the height of the fireball and how fast it is going. We can even work out the orbit of the meteoroid responsible for creating the fireball, which gives us clues about whether it came from a comet or an asteroid. If the fireball is traveling slow enough, and makes it low enough, it is possible that it can survive to the ground as a meteorite. This website: This website displays fireball data in the form of images, movies, diagrams, and text files. The data is organized by date. Click on a date in the list on the left to see the fireballs detected that night. If the page appears blank that means no fireballs were detected, probably because of bad weather. The website is automatically updated every morning at 8:00 am Central Time. Only the last 3 weeks of data is available online. For more information, contact Dr. Bill Cooke or check out the MEO website.